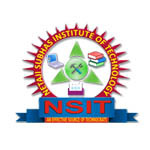 Netaji Subhas Institute of Technology is a private and self-financing institution. It is affiliated to Aryabhatta Knowledge University and approved by AICTE. College has been accredited as an ISO 9001:2008 certified institution. It is recognized by the Department of Science and Technology, Government of Bihar. Netaji Subhas Institute of Technology is situated over 12 acres of land at Amhara town in Patna district of Bihar. college located on the Bihta – Kanwa Road at 2 km from Bihta railway station. The campus has more than 62 faculty members from all departments. Netaji Subhas Institute of Technology provides accommodation facility to boys and girls separately. There are five state of art classrooms with multimedia presentation support. Canteen facility is available in separate building providing only veg food. whole campus is connected with Wi-Fi with latest computer resources. a well stocked library with 7500 volumes of book are available.